Maredumilli is a small town in East Godavari district, approx. 81 km from Rajahmundry. In July 2013, I accompanied GHAC group of 20+ members along with organizers Rajani & Farida to this beautiful place. 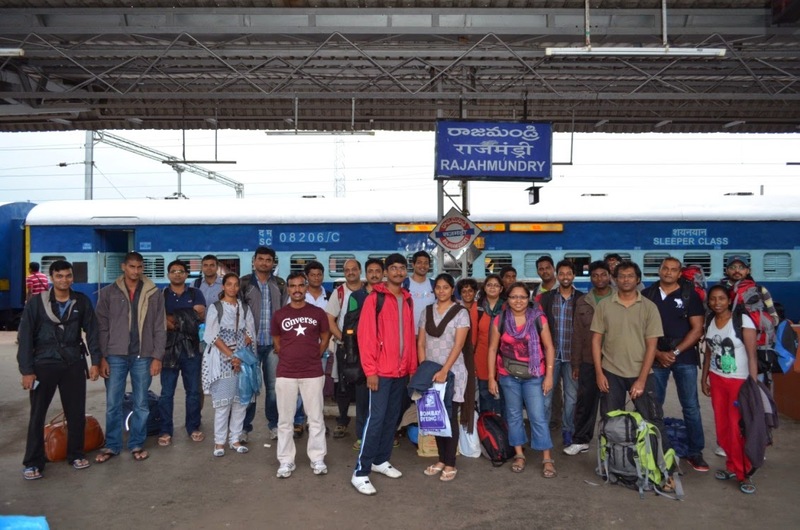 We started our journey from Secunderabad station and reached Rajahmundry early next morning. We boarded a hired bus from the station and started on our journey. 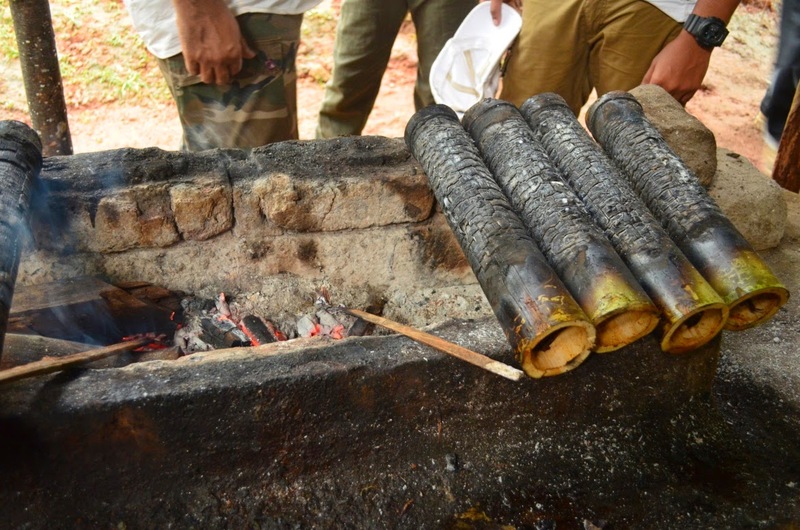 After stopping for a refreshing breakfast of idly, dosa along with amazing filter coffee, our bus meandered through the beautiful roads and the scenic beauty on both sides captured our attention. The monsoon season had rendered the countryside lush green and there were several small waterfalls gushing throughout the way. 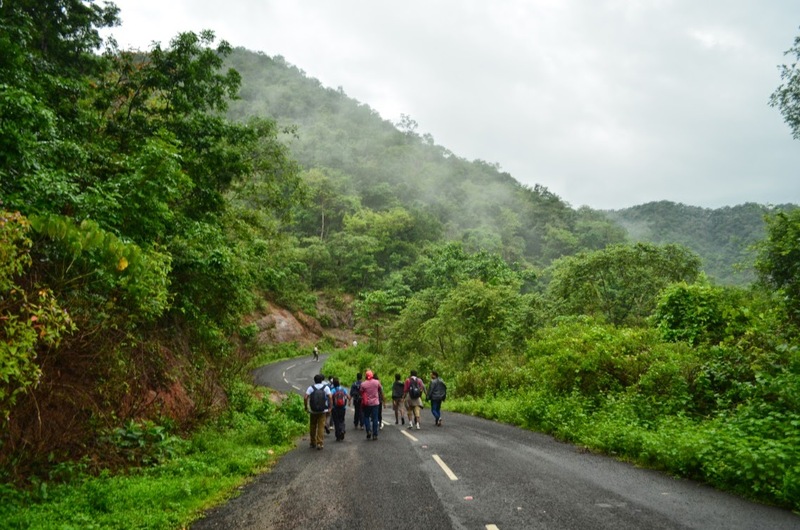 The undulating hilly terrain, silvery streams cascading down the rocks and the overcast sky made the entire journey mysterious and endearing. We reached the Eco-tourism resort Vana Vihari around 11 am. This is a community maintained resort in an excellent location with tall trees and big campus that provides different types of accommodation at very affordable rates. All the girls checked into one dormitory while the boys huddled in another. We quickly showered, changed and started for our hike around the forest. First we went to see the coffee and pepper plantations. 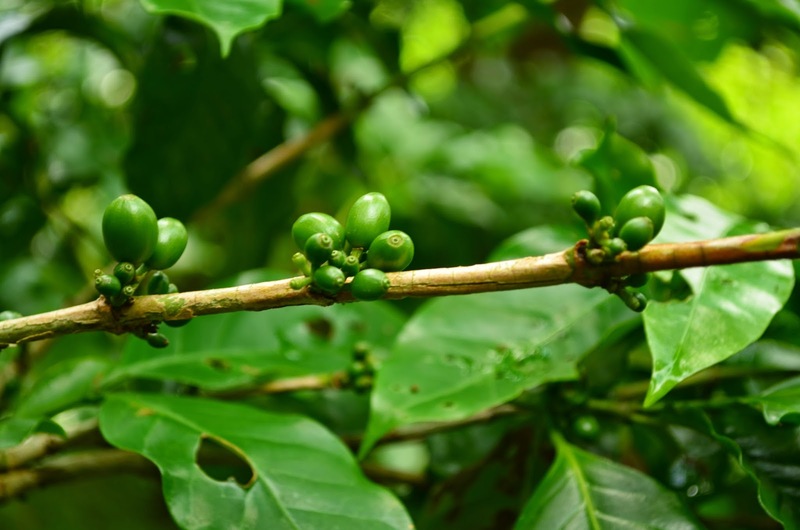 It was a great learning experience as I had never been to a coffee plantation earlier. 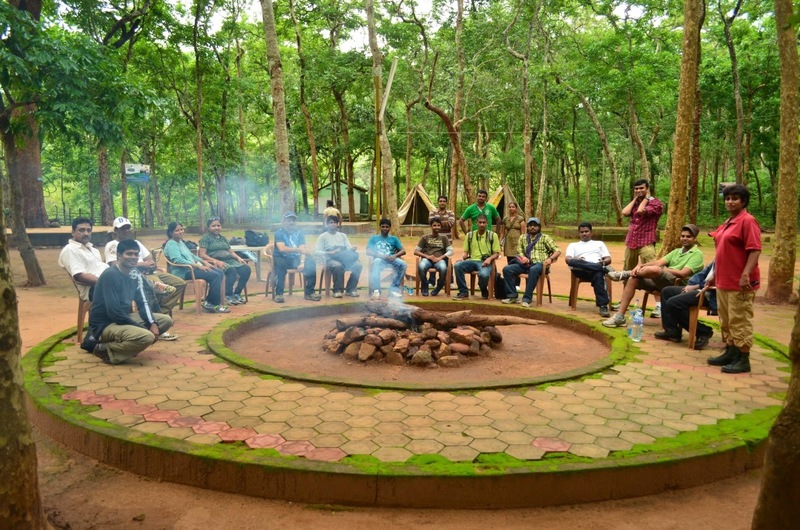 We enjoyed every minute of the cool atmosphere and the greenery around. Another interesting watch were the different kinds of insects and moths that are huddled at one place – they don’t even fly away when you go close to click photos. After that we went to visit the Jungle Star Camp Site which provides a unique opportunity to stay overnight in the deep woods of unexplored Eastern Ghats. 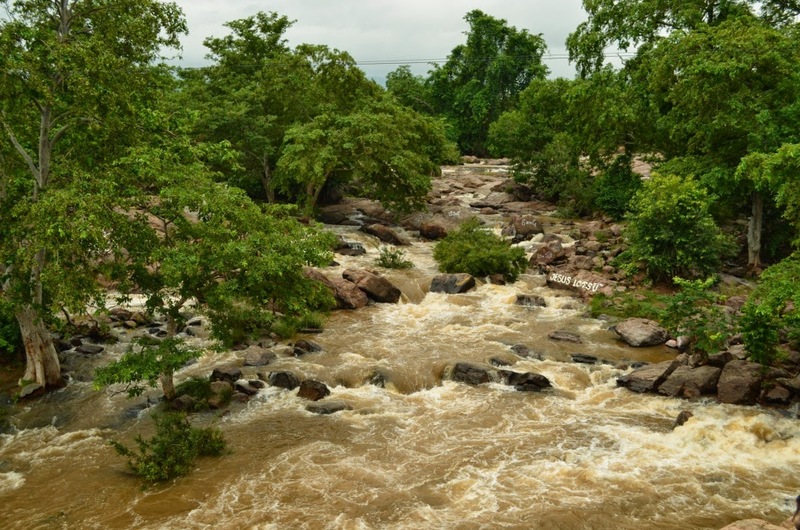 The Jungle Star Camp site is located adjoining the Valamuru River with the stream on 3 sides overlooking the Vali-Sugriva Konda which is believed to be the battle ground of Vali - Sugriva during the Ramayana period. The remarkable variation of the Battleground with the presence of grass land, encircled by forests on the other hillocks makes it really an interesting place to be. Few of the group members decided to stay in the tents; however, since girls are not allowed due to security reasons, I couldn’t plan to be part of the adventure. However, we did light a camp fire and huddled around it for some time. We returned to our resort by dusk and enjoyed the evening with a game of tambola and debating the plan for the next day. 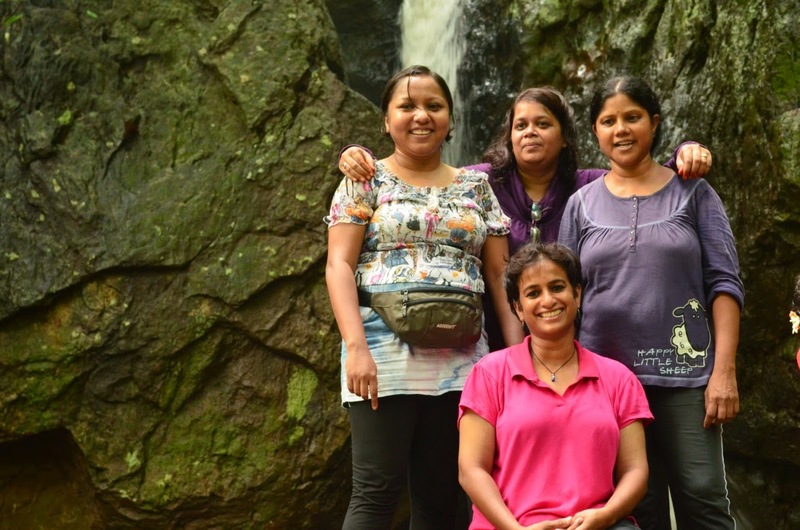 Finally, it was decided that we would go to Amruta Dhara – a waterfall approximately 16 km from our resort. This would require 10 km of trek to and fro from the area and then from the Main road you need to climb down around 150 meters in Jungle and climbing up on return may be little strenuous for some. 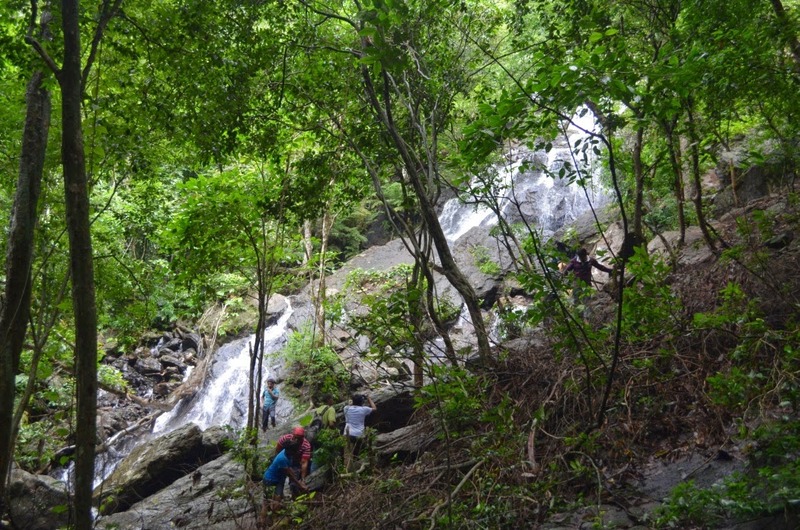 This would ensure that we return to our resort and then have enough time to visit the Rampa Falls as well. The plan was strenuous; however, GHAC adventurers were all game for it. Isn't that the spirit of GHAC all about!! 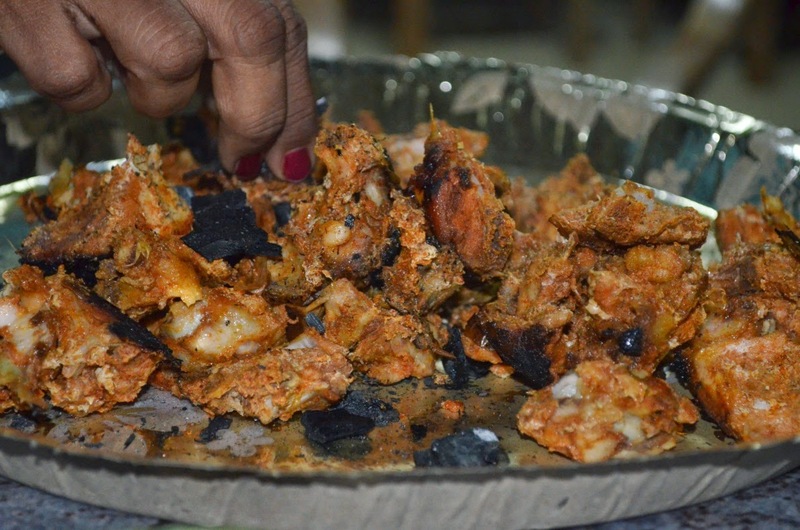 The night ended with a delicious dinner of Araku tribal bamboo chicken - Marinated chicken is kept inside hollow bamboo piece and burnt in an open area. The smoky chicken taste was awesome. Next day started with heavy downpour and no water in the rooms, due to which we could only start by 6:30 am. There was a heavy mist when we started. The group got divided into smaller groups of two’s or three’s walking at their own pace. The scenery was beautiful – lush green environment, mists all around and occasional showers. The terrain was uphill and muddy, however, the beauty of the surroundings made it easier. With canopies of semi evergreen trees that drape the path everywhere you walk and with undulating terrain, which forms part of the Eastern Ghats, it sure makes your heart flutter with joy and brings a smile on your face when the sun plays peek-a-boo non-stop all through the day and sprinkles its incredible crepuscular rays (God’s rays) on you and giving out an impression of a panorama painted by God. The landscape is so breathtakingly beautiful that it chokes you up with emotion and that you’d wish you could etch it in your heart forever. After we reached the spot for the waterfall, we had to climb down about 100 steps with side barricade supports. Although the path is very slippery and the forest around very dense, it is a must see as it is very good with water coming in from two different points. The falls is maintained by the local tribes. We spend some good time at the falls – clicking photographs, taking bath while some members of the group also climbed to the top of the falls along with the guide. They came back triumphant to tell us how beautiful it looks from above. Soon it was time to leave this beautiful place though none of us really wanted to go back. We climbed up, panting and then started walking back to our resort. By this time, the rain had stopped and it was all sunny and hot. However, all of us enjoyed the walk, sharing the experience and talking excitedly about the future plans. Our short stay at Maredumilli came to an end. We reached the resort on time for lunch and then we packed our bags to go to Rampa Falls which is nearly 36 km from Maredumilli (26 km to Rampachodavaram towards Rajahmundry and around 10 km on a Kutcha road to Rampa falls). All of us were exhausted by our morning adventure and were fast asleep during the entire bus journey. As soon as our bus reached, we were greeted by a heavy shower which stopped us from getting out of the bus. However, the shower stopped pretty soon and we walked around 10 min to reach the falls. This falls is equally beautiful and we spent some good time enjoying the water and trying to enter the caverns around. It is truly a worth seeing waterfalls as there is no crowd at all and the water here tastes sweet. It soon started raining again and we had to rush back to our bus and go back to Rajahmundry carrying with us the experience of a beautiful day that can provide the warmth of solitude. One of the best written blogs in GHAC. I enjoyed reading the life like experience. Great job Ipsita. keep up the good work . Can't wait to go there....after reading this blog. Good job.